Summer is the perfect time to sip Rosé. 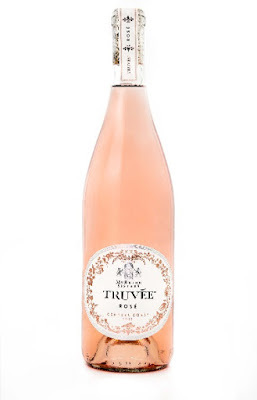 Truvée Rosé is from California’s sun-kissed Central Coast . This fruit forward, floral, and dry pink wine has a truly unique story that evokes the American Dream. 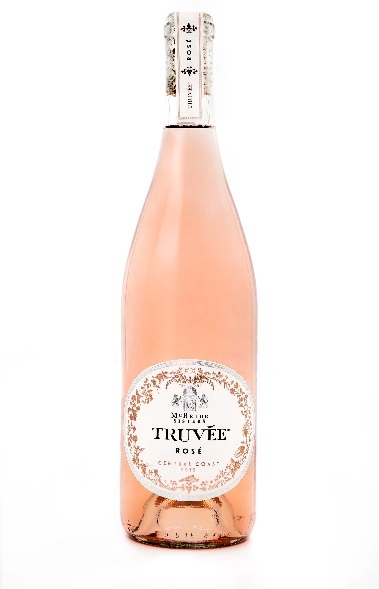 The story behind Truvée Rosé is unlike any other, making this rosé a standout pick amongst the pretty pink pack. Created by Robin and Andréa McBride – sisters who grew up on separate continents (in Monterey, California and Marlborough, New Zealand respectively) unaware of each other’s existence until young adulthood, when they were finally united after a long search – Truvée Rosé 2015 shows what can happen when you find what matters most and put two minds towards one common goal, despite all odds. Upon meeting in 1999, the newfound sisters immediately bonded over each being raised in emerging wine regions and their mutual appreciation for wine, promising each other they’d one day tell their powerful story through wine created together. This Rosé’s crisp, dry finish is an easy match for favorite summer foods like summer greens, fish tacos, barbecue, grilled fish and meats, or even a fruit salad of strawberries, raspberries and blueberries with a touch of cream on top – echoing the wine’s fruit flavors! I'll be sipping on this gem the rest of the summer. Cheers!